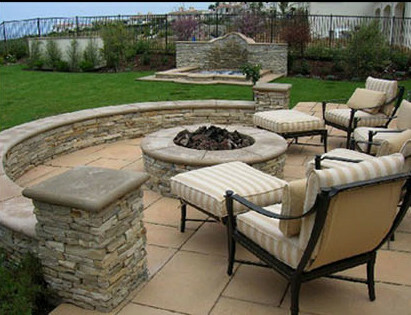 At Outdoor Concepts we are able to design and construct a wide variety of projects including patios, decks, walkways, driveways, ponds, outdoor lighting, waterfalls, retaining walls, fencing, as well as irrigation and plantings. 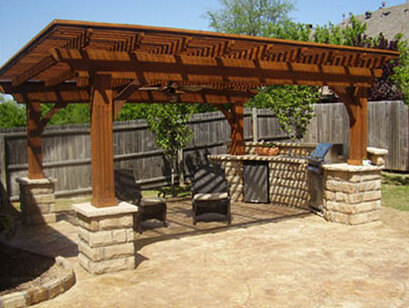 Patios are places to relax and enjoy your surrounds. Walkways are welcome passages. They usher and lead us from place to place. Warm up the reception that your family and guests receive with an inviting footpath that winds from your driveway to your front door, patio, pool or all three. There isn't a better way to add value to your home than a magnificent brick or stone walkway, elegant patio or inviting driveway. Artistic pride in your personal lifestyle is complimented by increased visual pleasure, functional design, instant curb appeal and long term resale value. 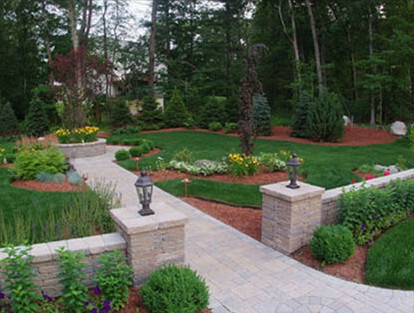 Let the professionals at Outdoor Concepts Lawn & Landscape help you create a bold, visible statement, a secluded tranquil retreat or a welcoming walkway and add resale value to your home at the same time.